Can your computer harness the performance offered by today’s fastest multimedia peripherals? Sonnet’s Tango™ Express 800 provides a quick way to add (or add more) high-speed connections to your setup and delivers maximum data transfer speeds for the fastest FireWire and USB devices. Featuring three external FireWire 800 (1394b) and two external USB 2.0 ports, Tango 800 PCIe satisfies the demands of video and pro-audio applications, where high-speed and high-bandwidth data throughput are essential, and enables you to extract every ounce of performance from fast external drives, DV camcorders, and more. Each of the Tango 800 PCIe’s ports is independently powered and capable of supporting bus-powered peripherals (devices that can work without a separate power supply, including some external drives and scanners). Plus, each port provides independent bandwidth for its connected device and superior performance when compared to daisy-chaining devices. Best of all, Tango 800 PCIe offers simple plug and play(1) installation—you'll have more high-speed connections in minutes. 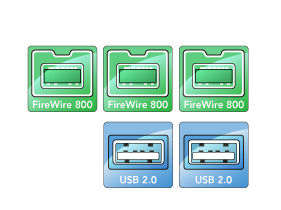 Simple way to add more high-speed FireWire 800 and USB 2.0 ports to any compatible computer. 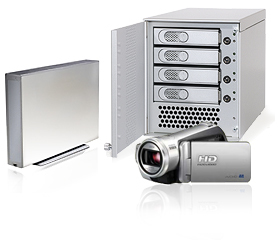 Satisfies the demands of video and pro-audio applications, where high-speed and high-bandwidth data throughput are essential, and enables you to extract every ounce of performance from fast external drives, DV camcorders, and more.